It was easy for the Patriots to put last seasons Super Bowl loss behind them on Sunday, as they took out any frustration with a commanding 34-13 win in Tennessee over the Titans. It was too much Tom Brady and the Patriots as the Pats were able to put the game away by half, as they led 21-3. Brady threw two scores, one each to his favorite TE’s, Aaron Hernandez and Rob Gronkowski. Brady was solid, going for 236 yards on 23-for-31 passing with two touchdowns without an interception. Titans QB Jake Locker left the game after getting hit in the fourth quarter, he ended the afternoon 23-for-32 for 229 yards with a touchdown and a pick. Last years starter, Matt Hasselbeck threw for 43 yards in relief. Chris Johnson got off to another slow start, going for just four yards on 11 carries. 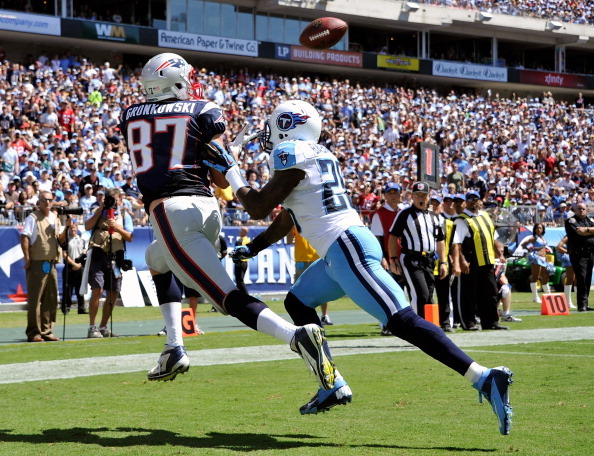 Steven Ridley went off for 125 yards on 21 carries for the Patriots, who outgained the Titans 390 to 284 in the win.